Identify all potential causes which could explain why the problem occurred. Isolate and verify the root cause by testing each potential cause against the problem description and test data. 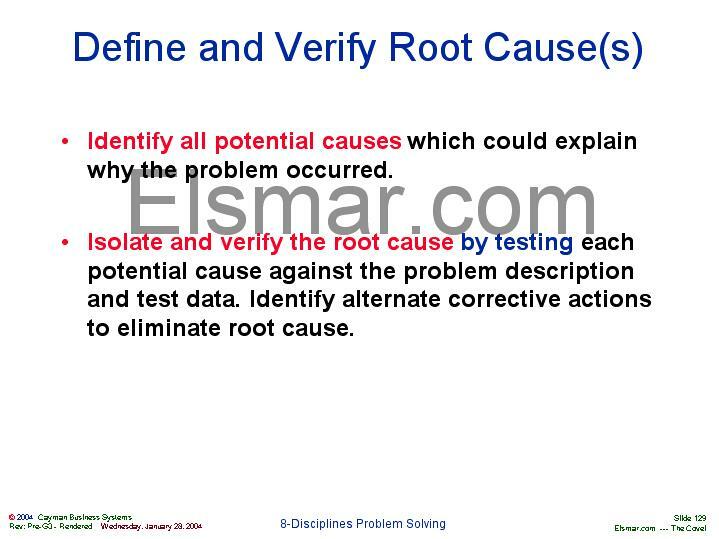 Identify alternate corrective actions to eliminate root cause.